Meteor Crater in the northern Arizona desert of the United States is considered easily the best-preserved meteorite impact crater on Earth. The crater has a diameter of 1,200 m (3,900 ft) and current depth of 170 m with a 45-metre high rim. 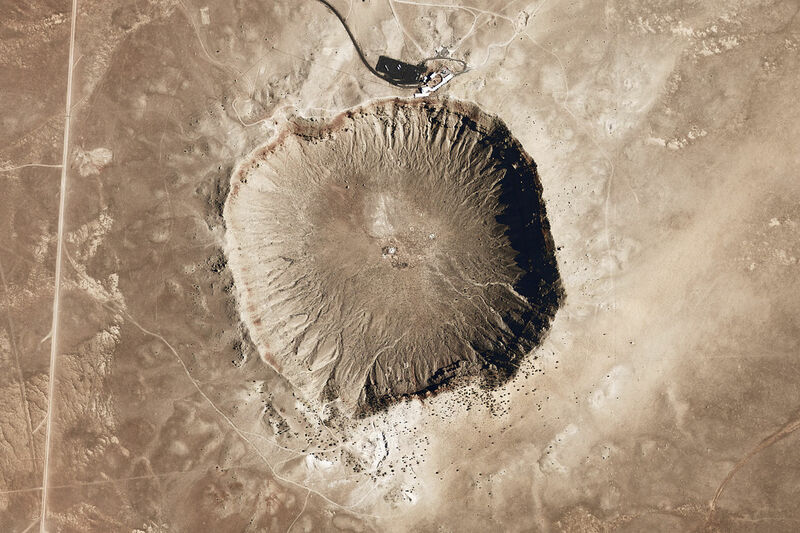 The crater was created 50,000 years ago when a 50 m diameter iron meteorite slammed into the desert releasing the same energy as a 10 megaton nuclear explosion! 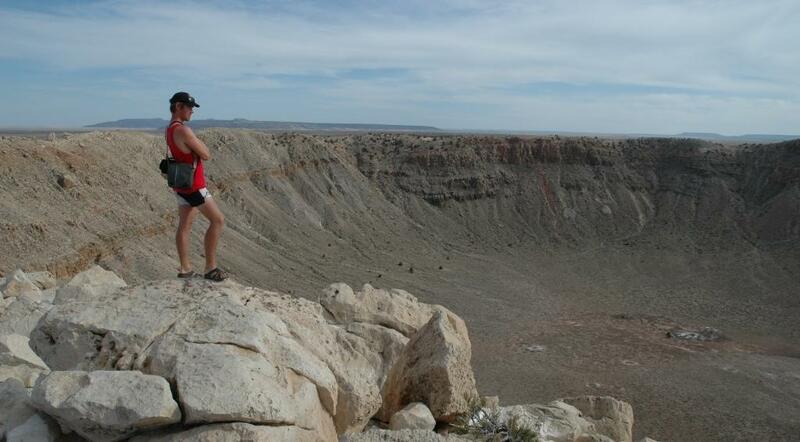 Interesting Cool Facts About Meteor Crater! 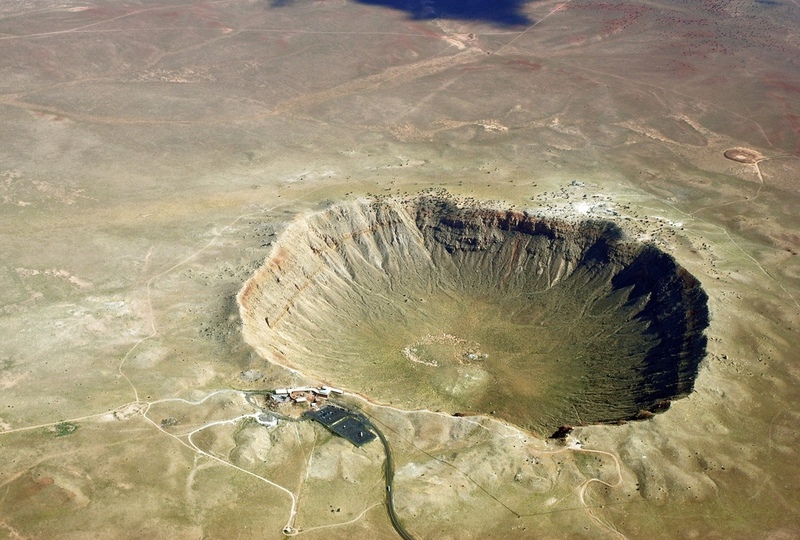 For many years following the European discovery of Meteor Crater in the Arizona desert, they initially thought it was the result of a volcanic explosion until 1903 when Daniel Barringer suggested it was created by a large meteorite. This was met with scepticism, despite iron meteorite fragments being found around the crater, as impact craters weren’t believed to play any role in surface geological processes. Daniel was keen to prove them wrong, so set about drilling near the centre of the crater to over 400 m for remnants of a potentially valuable iron-nickel meteorite he assumed would be buried there without finding it. 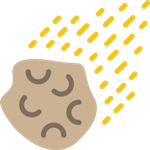 It wasn’t until a scientist by the name of Eugene Shoemaker in the 1960’s discovered minerals in Meteor Crater which had been severally shocked which only occurs during an impact or nuclear explosion. 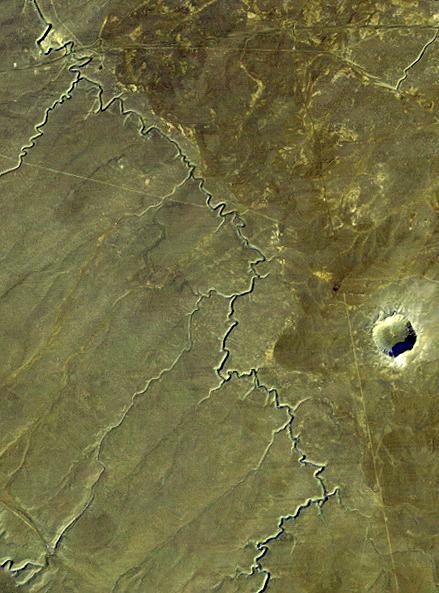 This meant Meteor Crater was the first confirmed extraterrestrial impact crater on Earth! Due to Meteor Crater’s relatively young age and the Arizona deserts arid environment, it is also considered Earth’s best-preserved impact crater of the 190 or so currently identified Earth impact craters while millions more have surely been lost to Earth’s geological processes! The impact exploded with the energy of a 10 megaton atomic bomb! 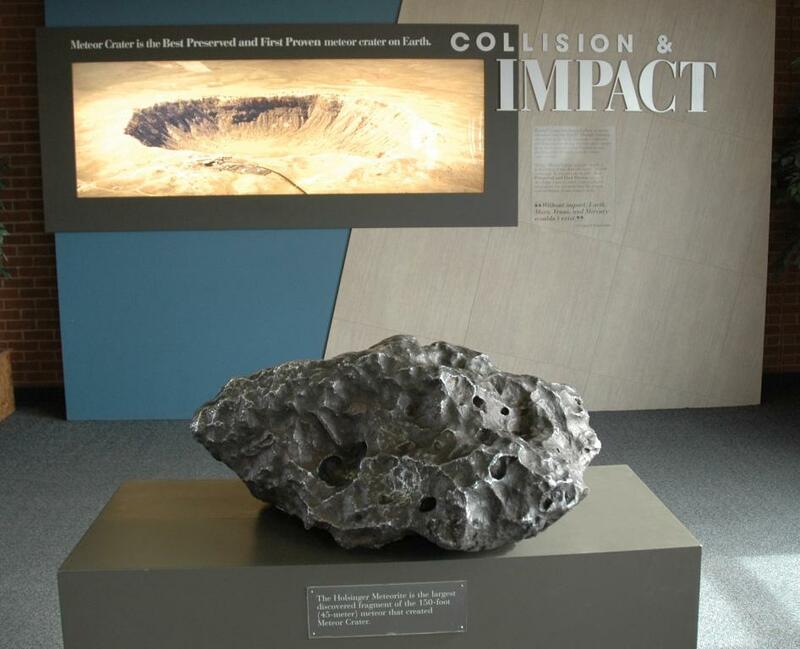 You can visit the Meteor Crater near Flagstaff Arizona, as there’s a popular Visitor Center with various displays relating to the crater, asteroids, the Apollo Moon missions and the NASA astronauts that trained near Meteor Crater. You can even see and touch a piece of the actual meteorite that created Meteor Crater!